Hawk Hoops and Avac Hoyas Team Up! On September 3rd, 2017 it was officially announced that Hawk Hoops and the AVAC Hoyas will team up to provide different and more exciting opportunities for youth student athletes and other supporting organizations. Their names will remain the same, but the organizations intend to work together to accomplish more in partnership. The team plans is to offer competitive youth tournaments, camps, clinics, travel club teams, and other events to the public. The main objective of the two programs’ teaming up is to combine strengths and share resources to build a unique platform for youth student athletes as well as organizations with similar goals and aspirations. Gary Thomas, who is the founder of Antelope Valley Athletic Club (AVAC), has been coaching high school and youth basketball club teams for over 25 years. In addition to coaching, Gary Thomas has successfully organized and ran youth basketball leagues and tournaments for over 25 years. In addition to running tournaments in Southern Ca., Gary Thomas has also partnered up with Las Vegas Fab48 to host mega NCAA Sanctioned tournaments, in Las Vegas, which featured Student Athletes from all over the country, competing for College Scholarships. In 2007, Gary Thomas established himself in the Orange County market by hosting multiple competitive tournaments in Orange County, and by founding the AVAC Hoyas – Orange County Chapter. The AVAC hosted tournaments in Orange County have generated great interest from National and International Youth Basketball Teams. 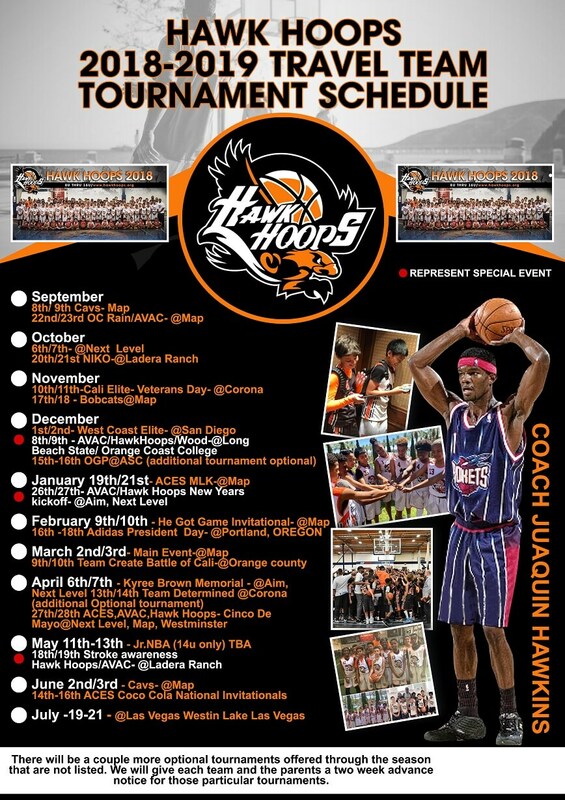 Hawk Hoops was established in the summer of 2003 by former NBA player Juaquin Hawkins. Hawkins is a Southern California native who was also a standout player at Lynwood High and Long Beach State University. Hawkins established Hawk Hoops during his NBA rookie season as a program offering youth fundamental basketball camps for boys and girls. With 14 years of professional basketball experience, playing in 6 different countries Juaquin Hawkins as been able to bring his unique experiences to the youth and provide a platform for so many. Currently, Hawk Hoops club teams are recognized for their competitive play and experienced coaching staff, some who also have played professionally. As a former NBA player, author of Stroke of Grace, founder of Hawk Hoops as well as a stroke survivor, Juaquin Hawkins has even established school programs under the Hawk Hoops umbrella. During this weekly program he mentors and teaches leadership skills to elementary students. He also educates boys and girls about stroke awareness while providing fundamental basketball clinics on the school campus throughout the week. With these two well established elite organizations joining forces, young players will now have even more opportunities to play in competitive tournaments, improve their skills, and learn from coaches who played professionally. The newly formed team will also provide events that welcome the participation of other clubs and organizations. Be sure to check out hawkhoops.org and avachoyas.com for upcoming tournaments and more information. 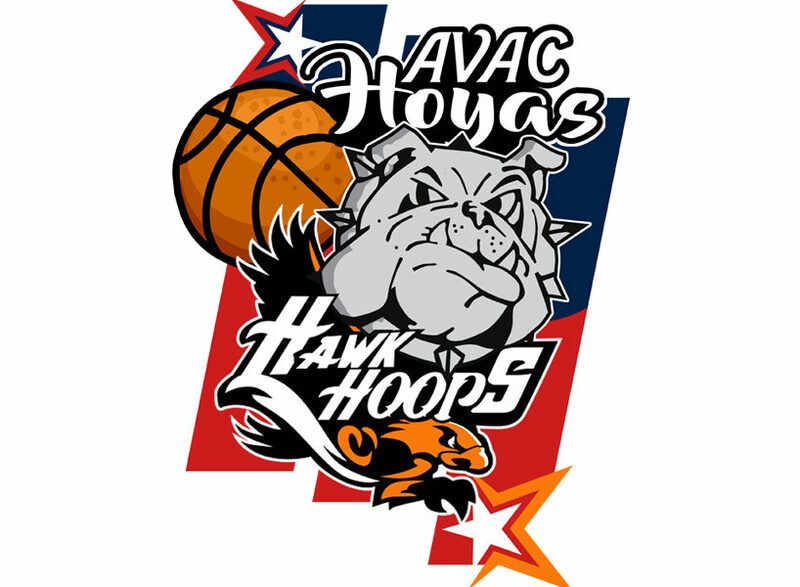 Tweet Pin ItOn September 3rd, 2017 it was officially announced that Hawk Hoops and the AVAC Hoyas will team up to provide different and more exciting opportunities for youth student athletes and other supporting organizations. Their names will remain the same, but the organizations intend to work together to accomplish more in partnership. The team plans is to offer competitive youth tournaments, camps, clinics, travel club teams, and other events to the public. The main objective of the two programs’ teaming up is to combine strengths and share resources to build a unique platform for youth student athletes as well as organizations with similar goals and aspirations. Gary Thomas, who is the founder of Antelope Valley Athletic Club (AVAC), has been coaching high school and youth basketball club teams for over 25 years. In addition to coaching, Gary Thomas has successfully organized and ran youth basketball leagues and tournaments for over 25 years. In addition to running tournaments in Southern Ca., Gary Thomas has also partnered up with Las Vegas Fab48 to host mega NCAA Sanctioned tournaments, in Las Vegas, which featured Student Athletes from all over the country, competing for College Scholarships. In 2007, Gary Thomas established himself in the Orange County market by hosting multiple competitive tournaments in Orange County, and by founding the AVAC Hoyas - Orange County Chapter. The AVAC hosted tournaments in Orange County have generated great interest from National and International Youth Basketball Teams.